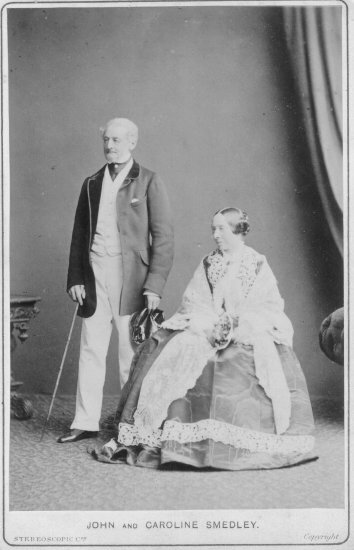 John and Caroline Smedley 1867. 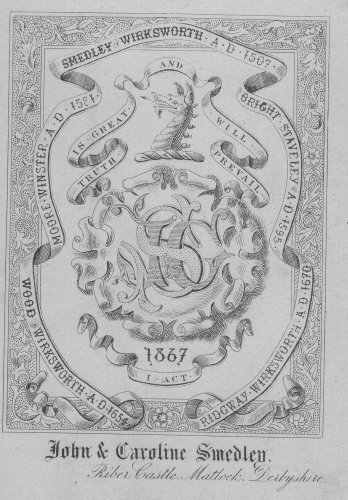 Coat Of Arms of Smedley 1867 (Rear of cabinet card). 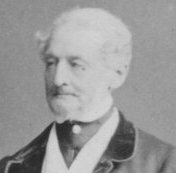 John Smedley (1803-1874) may be said to be the man who put Matlock on the map. 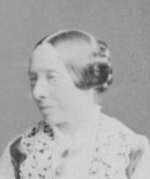 This cabinet photograph was probably taken about 1867. Cabinet photographs became popular from 1866, so making this an early card for that format.The photograph is of John & Caroline SMEDLEY, (very few of John Smedley exist). Also on the cards is written the motto: "Truth is great and will prevail" Across the bottom "John & Caroline Smedley, Riber Castle, Matlock, Derbyshire".